Miso Crafty Knits: Up, Down, All-Around Stitch Dictionary :: Review & Giveaway!! 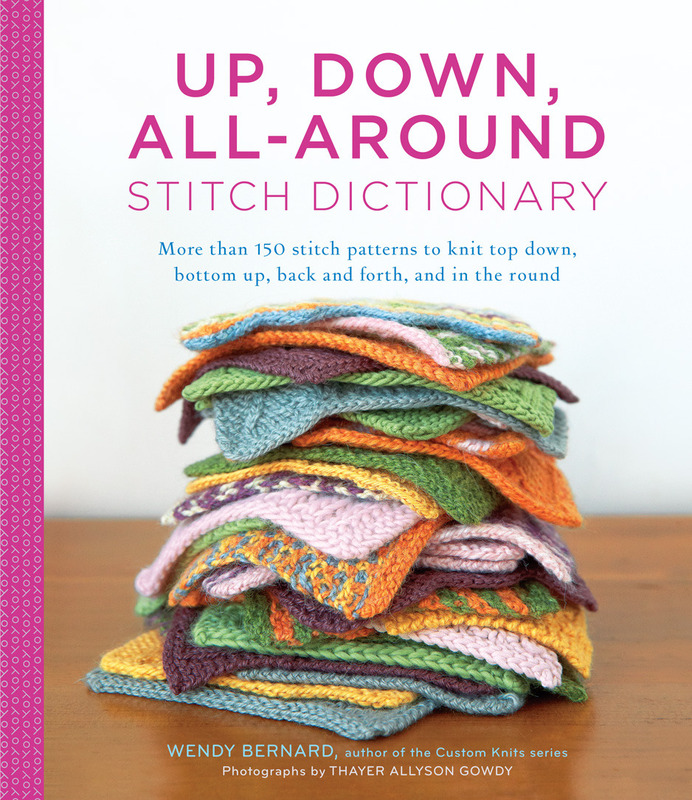 Up, Down, All-Around Stitch Dictionary :: Review & Giveaway!! Back in April I had mention that I was obsessed with stitch dictionaries in my monthly Obsessions list. I had (correction: I still have) a fair amount of baby knits to whip up and needed inspiration for other projects that I had in mind. Then there's the fact that the knit nerd in me likes to spend my 'morning hour' (that time in which I've dropped off the kiddo at school, I'm home alone, and I've given myself an hour to enjoy the quiet, my coffee, and can somewhat relax a little before officially starting the day) sipping coffee while knitting and reading knitting reference books. So when I first caught wind that there was going to be a new stitch dictionary on the scene, you can bet it already had my interest. When I found out what kind of stitch dictionary it was going to be, I got excited. All previous dictionaries that I've ever come across only ever explained how to knit a stitch pattern in one form: flat and in one direction. I've never heard of a stitch dictionary that showed you how to knit a stitch pattern in the round, top down, or bottom up as well. Can it be true? Yes, it's true! Let me tell you all about it! First off, let me just say when I got the email asking me if I would like to be a part of the Up, Down, All-Around Stitch Dictionary Blog Tour sponsored by Blue Sky Alpacas, my mouth dropped. Would I?? Of course I would! To get my hands on such a unique stitch dictionary, you just know it's going to be a must for any crafty library! 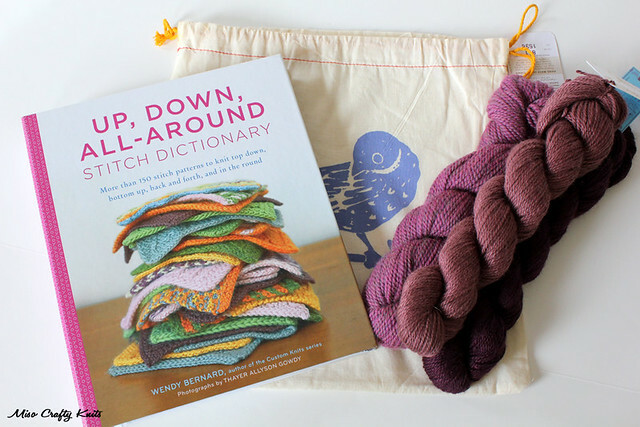 Written by best-selling author Wendy Bernard of the Custom Knits series, the Up, Down, All-Around Stitch Dictionary features over 150 stitch patterns and is the first of its kind to offer up to four different directions in which a stitch pattern can be knit. That's right. FOUR. Mind.blown. Right?? When I first got the stitch dictionary I marvelled at the beautiful coil binding, a detail that I know is in every Wendy Bernard book, and wished that every knitting-related book would use that binding as well. That's right, a knitting book that stays flat while you knit!! With knitting being such a hands-on craft, not having to worry about your book slamming shut every 5 minutes while you're in the middle of a row makes the whole experience of using this stitch dictionary even more of a pleasure. Once I got over the coil binding I did a quick thumb-through and had immediately noticed that the chapters were all colour coded. Brilliant! And no wonder all the swatches look so lovely, Blue Sky Alpacas had actually teamed up with Abrams/STC Craft, the publisher for this awesome-sauce book! I love the idea that when I need to quickly reference a pattern in say, the Yarnover and Eyelets section, all I need to do is flip the pages until I see the swatches knit in purple. This dictionary is already physically and visually easy to use and I've only thumbed through it so far! This past weekend I took the opportunity to really pour over the dictionary. I thoroughly enjoyed the "How To Use The Stitch Patterns" section, which was way more than just telling you to knit a swatch (although Wendy does give you some swatching basics). 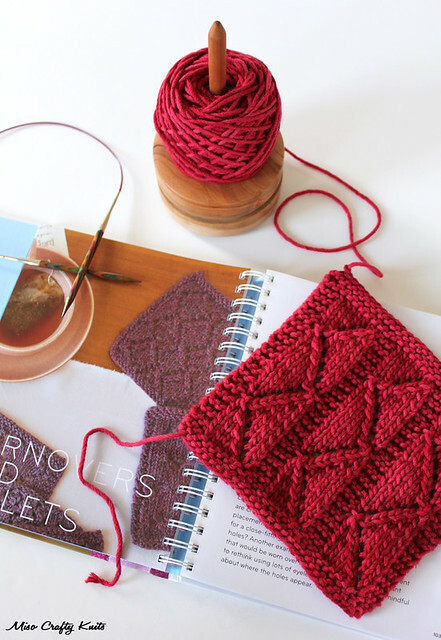 The section goes into detail about how to swap out stitch patterns and gives you a few examples, as well as how to work with the charts - which is handy for those who have either never knit from a chart or have never knit from a chart for an in-the-round project. But don't worry if you don't like to work from a chart, Wendy has written out row by row (or round by round) instructions for each and every single stitch pattern! Love it. I think all stitch dictionaries should include both written instructions and charted. I'm one of those knitters who likes to follow the written directions for the first pattern repeat and then refer to the chart for the rest of the knit. I love using charts because they make it so much easier to read your knitting. Sometimes, when a pattern only has the written instructions, I'll quickly draw up my own chart. So thank you Wendy for doing the work for me and including both! I also like how Wendy offers tips at the beginning of each chapter regarding the type of stitch pattern being presented, and then finishes off the chapter with a simple design and pattern showcasing one of the stitches featured in the chapter you just read. Feeling inspired after going through this book? Why not try your hand at designing an accessory by incorporating your favourite stitch patterns into one of the basic designs that Wendy offers? Armed with a few stitch patterns and with some simple math (even I can do it! And that says a lot! ), you can design a stole, a slouchy hat, or a pair of mittens. I have only one small critique of the book, which is more of a preference really, and that's to include a swatch knit in-the-round rather than just the flat swatch that's shown for every stitch pattern. I completely understand that for page space/printing/cost purposes that having 2 types of swatches per stitch pattern probably wasn't a feasible option, but why not have a knit in-the-round swatch for every second stitch pattern? Or at least for the ones that could possibly be a little more finicky than it's knit-flat counterpart? I think it would have been nice to include swatches that were knit in different directions, especially considering that this is what the dictionary is all about! Oh well. Because I was too busy reading each and every single stitch pattern and comparing the instructions on the different directions (hey, I did mention I was a knit nerd at the beginning of this post), I've only managed to knit up one swatch for you to check out. I had a hard time picking which stitch pattern to swatch but the one that I kept going back to was the 'Zigzag Eyelets' from the 'Yarnovers and Eyelets' chapter. After the nth time of flipping back to it, I decided to just go for it and swatch that one up. So I did. In some insanely lovely Blue Sky Alpacas Worsted Hand Dyes (the colour is called 'Petunia' - #2026, in case you were wondering). This swatch flew off the needles, the yarn was so wonderful to knit with! And the stitch definition! Note to self: must.get.more!! Halfway through knitting up the swatch I thought the stitch pattern would be perfect for a cowl. Or even a slouchy hat. Hmm...I have a feeling I might be casting on one of these ideas before the week is over! What do you think? I absolutely love this stitch dictionary and can see this as being a very useful resource for any knitter, designer, and/or instructor, and would make for a great shop reference. I know I've been highly inspired that's for sure. I've already bookmarked a few stitch patterns and am thinking of applying them to socks. I even have a pullover idea brewing! Really, the possibilities with this stitch dictionary is truly endless! I can't wait to get started!! I'm so excited!! :: a Pretty Cheep Project Bag. :: Giveaway is open until Wednesday, June 4, 2014 at 11:00pm PST. Simply leave a comment below telling me what kind of stitch is your favourite to knit. Do you love lace? Prefer something textured? Or do you go gaga over cables? Don't forget to also include your email or Ravlery ID with your comment! Because how else can I get a hold of you if you are the lucky winner? Please note: all unmarked photos in this post are by Thayer Allyson Gowdy and are used with permission. I am not affiliated with the publishing company mentioned in this post. I received no monetary compensation from said company for my review. I was sent a copy of the book for review purposes and yarn to swatch a sample from the book in exchange for posting the review. The opinions I've written are my own and I will not be receiving any commissions from the links provided in this post. I love all the yarn overs of lace but I also love the texture and squishyness of garter. I like to go back and forth so I never get bored! I love stitch dictionaries and would love to have this book! My favorite stitch patterns are cables. I could cable everything I knit and never get tired of them. Rav ID knitinmountains. I guess I would say my favorite stitch is something textured. I recently knit the umaro throw and just loved every minute of knitting it. The cables, the seed stitch, the little breaks of knit stitch...it's beautiful and I love looking at it. My ravelry username is MelissaP11. THanks!! What a wonderful giveaway - and that book sounds like just the sort of inspiration I need to get more confidence about designing my own knitting projects. I think I'd have to say that I've learned to really appreciate lace. I just like how clever it is - you do a bunch of yarnovers and decreases and a few rows later, voila, you have a nifty pattern. My ravelry username is aebell. Fingers crossed. And thanks! Best giveaway ever? I love knitting texture though I can never find enough garment patterns with texture that I like! After seeing you post about this book on Instagram I was like … "Adding it to the list!" Maybe I'll be the lucky one who wins it! My rav ID is peoplecake and thanks so much for the giveaway! I love knitting lace. It's fun to knit, and then there's the big reveal when you block it! I live blue sky alpaca and the book looks so cool. I'm just starting out but I love the lock of stockinette especially when you change colours to create a pattern! I Love cables, fun to do all the time! I love travelling stitches -- they're like cables without the bulk! I don't do them often enough, but I absolutely love cables. Looks complicated, but super easy! I love cables. They can be a little frustrating to knit, but I love the way they look. Ravelry ID is Birdgirl17. In all honesty, I really love garter stitch! Something about its rhythm and squishiness gets me every time. However, I do enjoy a complicated lace pattern every once in a while, especially when there is a leaf motif involved- those are so pretty! I still have a sense of accomplishment when I complete a nice cable project, but I recently finished Purl Soho's Stitch Block Cowl, which refreshed my love of simple knit/purl patterns. It's really incredible how much you can do! My ravelry ID is besharp! I love the texture of cables ! ktknitter is my Ravelry ID. What an awesome idea for a book! This is definitely a must have for any knitter. While I love me some lace knitting I would have to say that I am absolutely gaga for cables! Seriously, they are my one true love. I am so excited about this book! Thank you for sharing the table of contents. It makes me more excited for this book! 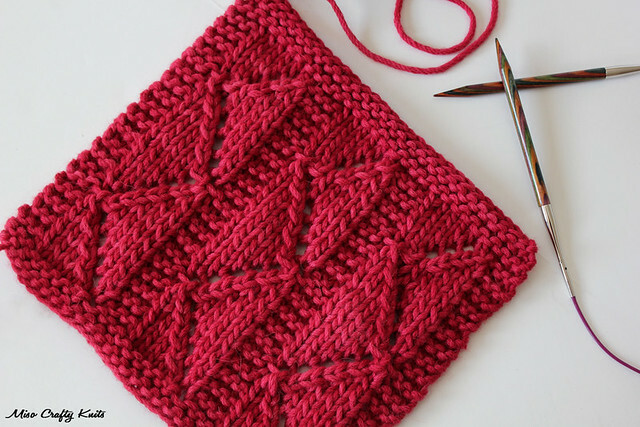 My favorite stitch is a chevron pattern, whether knits and purls or lace. i'm supposed to say lace, right? i just like combining knit and purl stitches to create textured shapes. like in my avery. i love avery. some of you may know me as daicheng. I love the look of lace on other people and I love knitting it, but really I like garments that stick to knit/purl combinations in rustic yarns. I admit to being a total lace nerd. I don't think I could ever pick just one stitch, but I really love textured stitch patterns. I think lace is my favorite, but I also love simple textured stitches when I'm in the mood for mindless knitting. I love textured knitting: seed stitch, herringbone, box, etc. I have been really loving lace, but cables are calling to me for the fall! Thanks for hosting this giveaway, the book looks fantastic! Cables are my favorite. Aknitster on Ravelry. I love cables. I have not had many projects with cables but love the look and process of how they are created. The more I read about this book, the more I know I have to buy it. My favourite stitch patterns (at least lately) are travelling stitches combined with eyelets. I've noticed that design tendency in a lot of my favourite summer sock patterns. I'm a big lace knitter:)This stitch dictionary sounds amazing! So many possibilities! I really, really love garter stitch the most - but I'm starting to come around on simple lace patterns. I love to knit cables! When I have trouble falling asleep at night, I work out complicated cable patterns and exhaust my brain. Works well. I adorrrrre cables! But I also love a stitch with a simple trick that looks super lovely but is deceptively easy. I love lace! I'm also delighted by and with textured stitches, especially when I need to not have to pay attention as much as lace often requires. Thanks for the giveaway! Cables are totally my weakness. They look so impressive but are easy to do! I haven't done much lace, but this book might change my mind! This looks like a fabulous book! My favorite stitch to knit is actually lace with cables (or cables with lace)! I love the solid firmness of a cable nestled among airy yarn-overs. I love lace and the how it evolves into something beautiful when it is blocked! This is such a great giveaway. Thanks. I am LakeviewChica on Rav. I love lace and cables. Some days I like one more than the other, but both are just such fun to do! This is a wonderful giveaway - I'd love to win the book! AmandaLynA on Ravelry. Lace worked with beads is my favorite (at the moment). I am mdesenfants on Ravelry. I am working on a lace stitch at the moment and am loving it. I love how fast it is to knit and how beautiful. So good for rapid results. Thanks for a wonderful giveaway. I really love simple garter stitches but can kit lace for special projects. I love knitting cables and knit/purl stitches! What an amazing looking book! DeannaPickman (at) gmail (dot) com. I love knitting cables and anything textured! This book looks fantastic thank you! Opossummama on rav. I really love cables, because there is such a huge variety of them and they can be used in any garment or accessory that it can think of knitting. My current favourite is textured patterns but I also enjoy eyelets and lace. This book looks like a must have for any serious knitter!! My Rav ID is JocelynShuman. I love cables!! The book looks amazing. My Rav ID is Jwillson (two l's in Willson). Thanks for the reminder about this book! I meant to pre-order on Amazon. I'm a lace fiend, myself, and I love stitch dictionaries, but I especially love charted ones, and am intrigued by the idea of patterns that can be worked top down and bottom up. I think my favourite are cables, especially the small ones that I can do without a cable needle. I am in love with cables. I also like the idea of written and charted instructions. 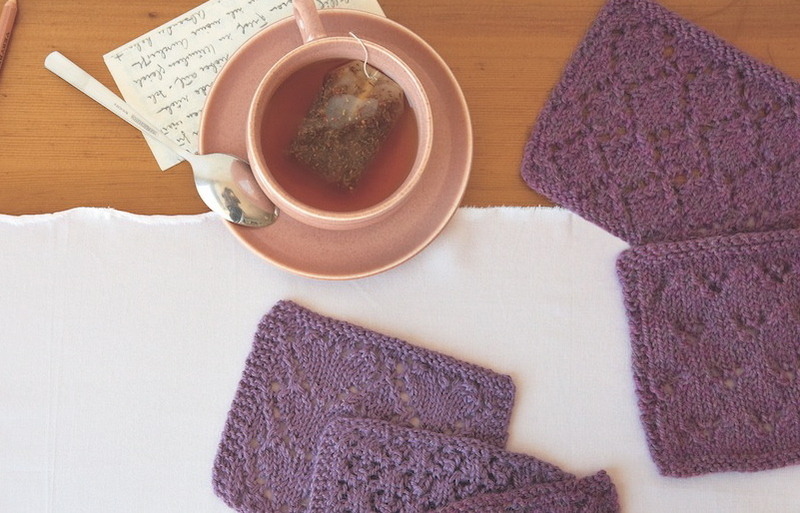 I like all kinds of stitch patterns, but lace might be my favorite because it can be so rhythmic to knit, and because it transforms so much when you block it. Cables and Entrelac are my faves, but I like to branch out and try new things, so I really like stitch dictionaries. I think it's so clever that this book gives instructions for all directions of knitting! And I love those colors of yarn! Thanks for hosting the giveaway, and thanks to the sponsors. KittenWhiplash on rav. That book looks Awesome.. I love doing socks and many patterns are cuff down. I love lace and cables. I would be so great to design my own to make them toe up. I love toe up. Nothing like plain garter stitch going round and round…so therapeutic! LOL…I need this book to expand my horizons! I'm a pretty new knitter so I haven't done many different stitches. The few lace stitches I've done have been really fun, watching the pattern slowly emerge. This is a great giveaway, I'll be crossing my fingers! traveling stitches are my favorites for sox. love making lace shawls and am wild over making cables on anything. have been knitting for almost 70 years and now and then i'm having to go look up stitches [gasp] and would love to win that gorgeous book. thanx for the chance to do so. Texture keeps me going when I am too tired to count. Currently a moss stitch cardi (in wool, because we just flipped the temperature switch from cold to hot and humid... Must finish it soon). Love cables, as they always look harder than they are! Call me boring, but I love moss stitch! I love knitting lace. There is just something beautiful about watching the pattern form. I love cables and stitch dictionaries. 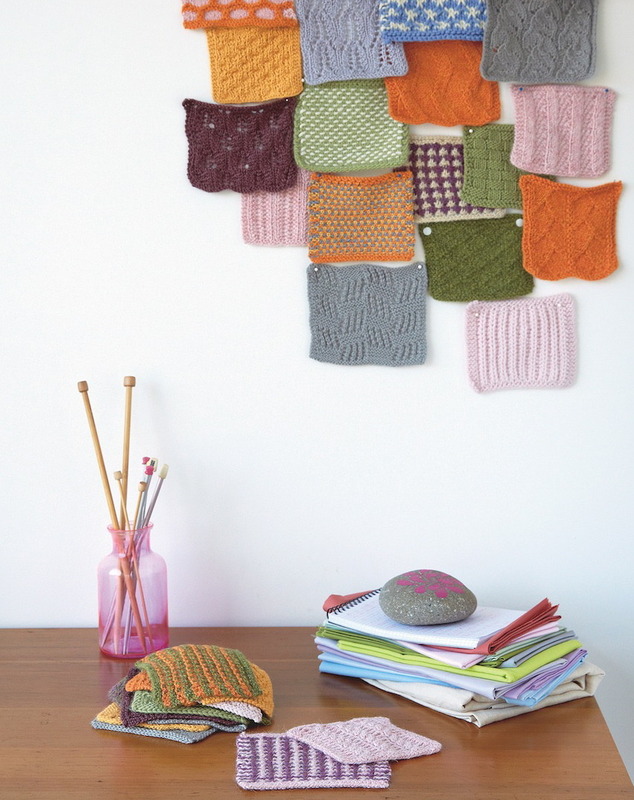 My favourite is seed stitch: there's just something about that easiness and end result I love! I'm a fairly new knitter, so I'm fascinated by lace and cable but scared to give it a try. This book would certainly help me give it a go! I think I'm going to make this book the first stitch dictionary in my future collection. I love lace. I find it rhythmic and soothing. And I like charted lace far better than written instructions! Christina wall on rav. I love cables and seed stitch!! Lately I've been on a real cable kick. They're so addictive to knit, I love watching them grow off my needles. I like rib stitches because they work with all kinds of hats. And I love hats. Love that yarn! I'm partial to simple lace patterns at the moment. What stitches I love changes depending on what I'm working on, but right now I'm itching to do some cables after a long run of lace recently. I love knitting lace! What a great book. I'm definitely buying it if I don't win! What a pretty giveaway! I just started learning how to knit last month, so I'm still working on my knits and purls! It's been a lot of fun to learn so far. Thanks! I love textured patterns that make use of just knits and purls! Thanks for the chance to win these amazing prizes! I love knitting lace and cables. ALso textures. Okay I just love knitting!! I like cables. Dying to try some of the stitches in this book! I love looking through the cable section! Recently I made a dress bottom-up because I couldn't figure out how to convert the lace pattern I was using into top-down, so I love the idea of a stitch dictionary that gives you a number of ways to make the same stitch! I adore cables.. and especially small and close together ones. Next fave is colorwork with slipped stitches, so satisfying! Love cables! Can't wait to get m hands on this book. To me, there is nothing more meditative than knitting a 2x2 rib. love lace in combo with a ton a of stockinette I am at a point in my life where the lace keeps me interested and the stockinette keeps me sane! I enjoy most textured patterns that do not involve bobbles and I can memorize, or at least logic out, what comes next. My favourite are the small details in a sea of stockinette. It's hard to pick a favourite but I do love the finished look of cables. Lately I've been obsessed with knitting lace! I love the way lace knits up and seeing the pattern emerge! Fair isle goes quickly for the same reason. Thanks for the chance to win this awesome stuff! I love to knit lace shawls with all of the yo's, ssks, skpo's, knit 2 togs, cables, twisted stitches and etc. I love the look of cables! thanks! Love this giveaway! I will definitely find a copy of this book! Obsessed right now with slipped stitch color work. Ravelry name is ckwebgrrl. I would love this book, I like to make squares for charity blankets and it would be fun to have many different stitches. I love trying all kinds of different stitches. Anything that adds fun details and interest to a project. Lately I've been having fun with both lace and cables. I've been all about textured stitches lately - I just love the way they look and feel. Thanks for running this giveaway Melissa! I am a girl who can't get enough cables, and the joy of intarsia comes in a close second. Love them! I am so excited about this stitch dictionary! thank you for offering the giveaway! i love knitting anything that has interesting textures! i find that i mostly knit cables during the fall/winter and lace during the spring/summer. my rav id is "-bebe". I love texture of all kinds. Seeing the pictures of the swatches makes me want to grab my needles and get knitting! At the moment it is cables, cables, cables. Who knows what it might be tomorrow. I love to try out all kinds of different stitch patterns, depending on how the mood strikes me. But I always seem to go back to my beloved cables. Thank you for this chance! I love knitting traditional Guernsey patterns... all that texture! Thanks for the review (this is on my to-buy list should I not win the draw) and the giveaway. I just made something with open star and it is BEAUTIFUL. I do love cables. And very uncomplicated lace. I am so excited about this book, I am definitely getting my hands on it one way or another! I love cables, they look so nice when they come out right.